A spectacular case of sloppy science came crashing to a close last month. 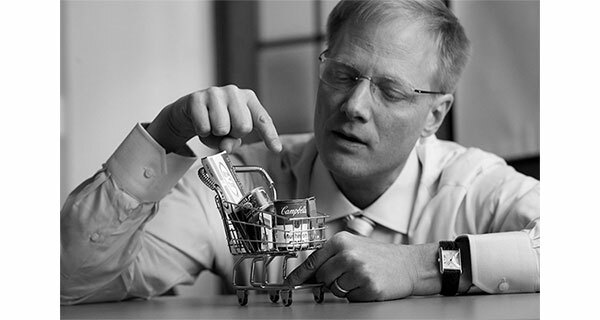 Cornell University’s Brian Wansink (above), a world-renowned scientist who seized headlines with his research on American eating habits, had many of his papers retracted and resigned from his professorship. Wansink’s fall is not just the tale of a single scientist gone astray. It is, instead, an indictment of an entire type of nutrition science that has led to mistaken dietary advice dispensed to Americans for decades, writes Nina Teicholz in this op-ed for the LA Times. Wansink’s misdeeds played out in Cornell classrooms and nutrition journals and, as crucially, around American dinner tables, she wrties. He had a central role in all our diets. From 2007 to 2010, he served as executive director of the US government’s Dietary Guidelines, which set the standard for healthy eating for the nation. Under Wansink, the guidelines shifted to be ever-more based on the same type of easily manipulated, weak observational data he produced in his lab. A new iteration of the guidelines, under a different director, was issued in 2015, yet the reliance on weak data has remained the same. Wansink’s research depended on observational studies, which can yield only associations, such as “coffee is associated with cancer”. These are at best suggestions of hypotheses, and they nearly always fall far short of demonstrating cause and effect. To show causation — that coffee causes cancer, for example — a real experiment, or clinical trial, is needed. For nutrition policy, however, we have rarely required that calibre of research. Worse, the associational data in nutrition studies are particularly unreliable because the studies depend upon self-reported answers on dietary questionnaires with such queries as: How many cups of pasta did you consume weekly for the last six months? Or, how much did you enjoy that last slice of pizza? Studies have long shown that people misrepresent what they eat — or they simply can’t remember. The claims of this weak science, when tested properly by rigorous clinical trials, have been shown in two analyses to be correct only 0% to 20% of the time. This means that 80% to100% of the time, they’re wrong. The guidelines are surprisingly powerful: They drive choices for school lunches, feeding programs for the elderly, hospital food and military rations, as well as influencing the advice dispensed by doctors, nurses, dieticians and nutritionists. If the guidelines are off or downright wrong, the potential impact on our epidemics of obesity, diabetes and neurological diseases is devastating. Critics have argued that the guidelines, launched in 1980, were based on shaky science before Wansink got involved, but his guidance arguably drove them off the rails. His 2010 guidelines turned the recommendations away from a focus on food groups and toward dietary patterns. This sounds reasonable enough, yet the fundamental flaw lies in the evidence base for the patterns….